Dental veneers offer one of the best solutions when it comes to our Bulimba family dentist providing you with a dazzling smile makeover. Each thin porcelain veneer is handcrafted to reflect the ideal tooth size, shape and colour you’re looking for. When we bond several of them side-by-side over your front teeth, you can drastically change the way your overall smile looks. Thanks to our in-house lab, we’re able to oversee each phase of your veneer treatment. Our lab technicians can even fabricate a preview of your veneers, called a “wax up” for you to consider before the permanent ones are created. This unique step helps us to fine-tune your results as best as possible. Having veneers made will usually involve a few different appointments over the course of 2-3 weeks. When you’ve been able to preview your wax up, we’ll book a “prep” visit where the teeth are slightly adjusted and an impression is taken. While the permanent veneers are being made, you’ll wear temporary ones to avoid any potential sensitivity. About two weeks later, your final restorations will be ready to bond into place. Care for your new smile as you would your natural teeth. Be sure to brush and floss daily. Don’t forget to schedule a preventative dental appointment every six months. Although porcelain is stain-resistant, your veneers will still need to be cleaned and polished regularly to avoid unwanted accumulation of plaque or other particles. Discover what dental veneers can do for you. 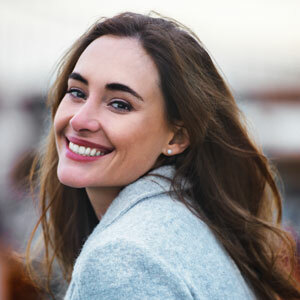 Schedule a consultation to learn more about this unique smile makeover experience.